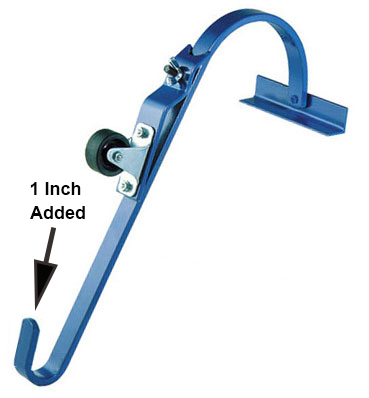 REIMANN GEORGER REDESIGNED ITS LADDER HOOK! We are back in stock with a newly redesigned Reimann Georger ladder hook. The lower hook on the original device was too short to stack slates against it on your hook ladder. They added an inch to this part of the ladder hook and now it is much more user friendly for slate roofers!